Although the idea of a quick and affordable fix is always alluring, it is important to understand what can and what cannot be fixed with PDR. The end goal should always be a perfect looking auto body. Most commonly, paintless dent repair is used to fix hail damage, dents caused by shopping carts or banging doors, minor creases and so on. 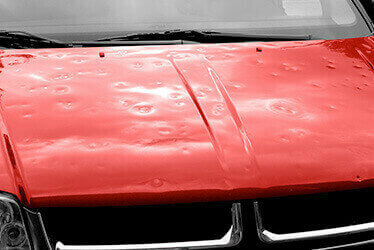 Usually, the size of the dent determines whether PDR is a possible fix or not. Sometimes though, even dents that are several inches in diameter can be fixed through this technique if the paint is not stretched. Shallow large creases can also be repaired with this method, but sharp dents and dings usually require body fillers and repainting. The experience of the technician is also a factor, so be sure to contact CARSTAR #15162 in Northglenn, CO to have our expert technicians assess the damage to your vehicle and recommend the best course of action. Like any other process in auto body repair services, PDR starts with a thorough assessment of your vehicle. It is important to locate all dents, dings or creases on your car and determine which ones can actually be fixed through this method. It is also critical to establish from the beginning the extent of the damage as some dents or creases, small as they may be, cannot be repaired with PDR if they are too sharp or if the paint has been stretched too much. Once the damage has been assessed and PDR approved, technicians will work on pushing or pulling out the dents from the metal panels, so that no filler or painting would be necessary. The process can take anywhere between 2 and 3 days and it is certainly a more affordable option than traditional repainting. 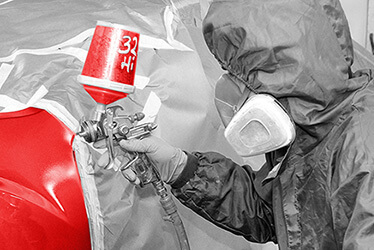 To find out more about what PDR involves, contact our technicians at CARSTAR #15162 in Northglenn, CO.
CARSTAR CARSTAR #15162 in Northglenn, CO offers paintless dent repair as a time and cost effective solution to minor creases, dents and dings. Our process is simple and straightforward, yet highly comprehensive as we make sure your vehicle is returned to you in top shape. Our qualified and experienced technicians will assess the damage on your vehicle's body and determine if PDR is the right solution or not. If it is, they will also be able to determine the best technique to properly repair the dent. Usually, this is a two-to-three day repair. Contact us to learn more about the process, how we work with your insurance, or bring your car in for an assessment! If your vehicle is in need of more than aesthetic work, we have a wide range of services to cater to your needs, from hail damage repairs to fleet services to auto collision repair. Whether you've been involved in an accident or you need to keep your company cars on the road at low costs but high quality service, we are here to help. We provide 24/7 accident assistance so you can call anytime, any day. We also offer a 5-year limited national warranty on qualifying repairs so that you can rest easy no matter where you are. Contact CARSTAR #15162 in Northglenn, CO for more details on the range of services provided and how we can help.